No, not my age, the number of kilometers I ran this week. Last three weeks were 55, 54.4, 55, so I guess I'm in a groove. Did a 5,000m time trial on Wednesday, notable not for the 22:27 time, but for the fact that it was my first in 7 months and I had no aches or pains at all. Also did a pretty good tempo run with the high school boys on Monday and a good hill workout (250m x 10) on Friday. Then had a nice 8k run with Marty Lever on Saturday. He's in Tokyo for a few days for a photo shoot (good photographer). We may have had a few beers also. 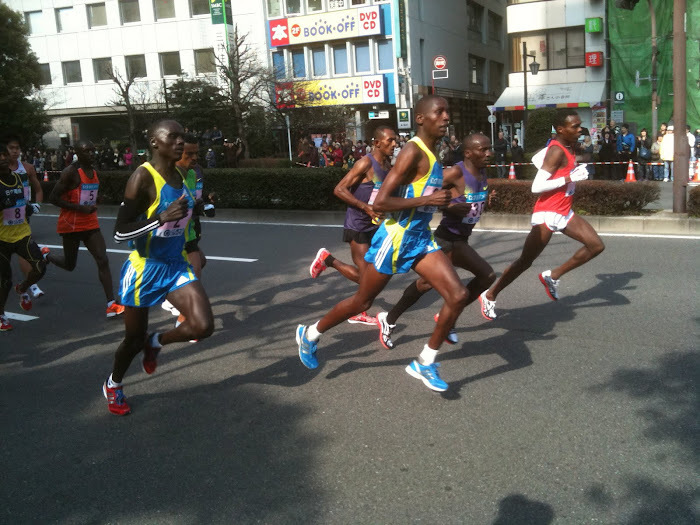 Next Sunday is the Sendai Half. Hope I get through it with no issues. Have an extra beer for me Bob. Good luck in the half - hope all goes well.